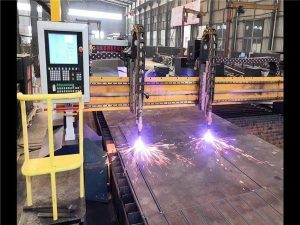 Gantry CNC flame/plasma and cutting machine is a kind of high precision steel plate hot cutting automation equipment, used in all kinds of special-shaped steel, manganese steel, stainless steel and other metal materials of large, medium and small plate. 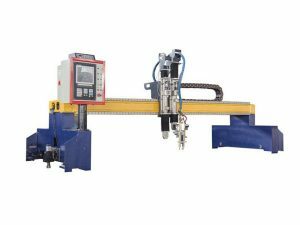 Which main characteristic is to use the bilateral drive mode of transmission, the machine run smoothly, high positioning accuracy, concise and beautiful appearance, strong interchangeability of modularization design makes the machine parts, simpler equipment function expansion. 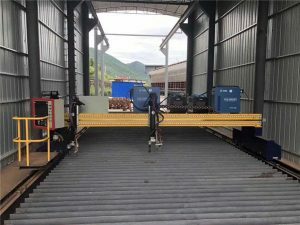 The equipment has been in the shipbuilding industry, heavy machinery, chemical equipment, boiler manufacturing, locomotive, petrochemical, mining equipment and other manufacturing industries widely used . 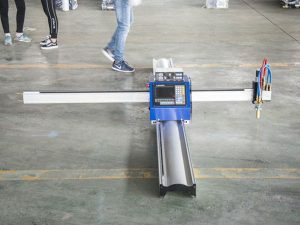 Compared with the portable and cantilever type CNC cutting machine, gantry CNC cutting machine more stable. 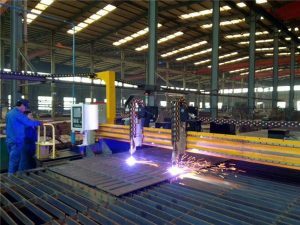 It can acquire many cutting torch, even long straight cutting can be realized. 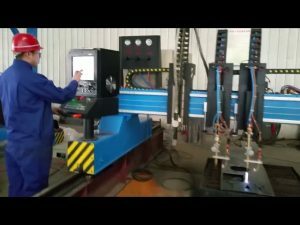 CNC cutting machine compared with ordinary cutting machine has the advantages of: Control system hardware and software. 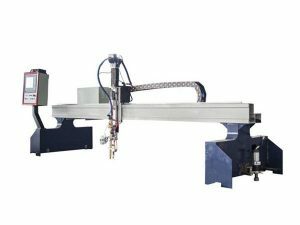 Due to the control accuracy of the CNC flame cutting machine, the working speed and the load requirements are not very high, so the stepper motor can be used to realize the motion control open-loop way. Industrial control machine and the movement control CARDS together to complete the control function of the control system, the motor drive control system can realize the chopper constant-current subdivided driving, improved the precision of electric motor, and better solves the problem of heat of high torque drive. Peripheral control circuit is composed of PLC, relay and so on, its output to control the electromagnetic valve of gas path, contactor coil, etc., realize the pneumatic sequential control. 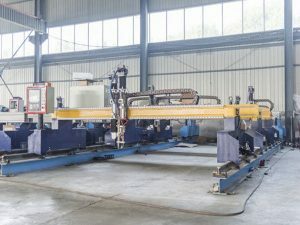 Numerical control flame cutting machine is a kind of computer control, precision mechanical transmission, oxygen, and gas cutting technology with the combination of high efficiency and high precision . 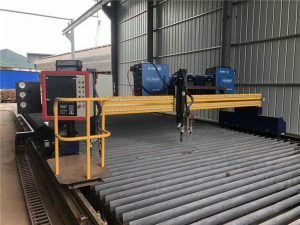 Gantry box beam with good carrying capacity, high double sides drive,For the compact structure,sufficient to eliminate the welding stress,its performance is stable and realiable. Horizontal guide ralls using domestic or imported linear guide, is of high precision and good guidance. 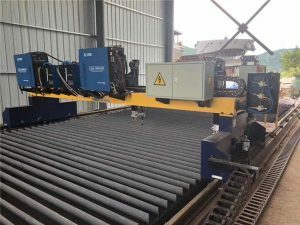 Longitudunal guide ralls made from special metals,with grinding surface ,has very high mechanical precision and abrasion resistance. Horizontal, longitudinal transmission use Germany NEUGART maintenance-free planetary gear reducer of high accuracy,large torque.low bak lash.